Bear Notch Ski Touring - Jackson NH and Mt. Washington Valley Area Information. Pumpkin People, Tradionally Yours Events, Lodging specials, Dining and Ski Area Info. Cross country skiing and snowshoeing, the way it was meant to be. At Bear Notch we have over 65KM of spectacular riverside views, pristine waterfalls, picturesque flat meadows and challenging hills. Warming huts offer complementary homemade bread alongside soups, snacks, sweet treats and warm drinks. 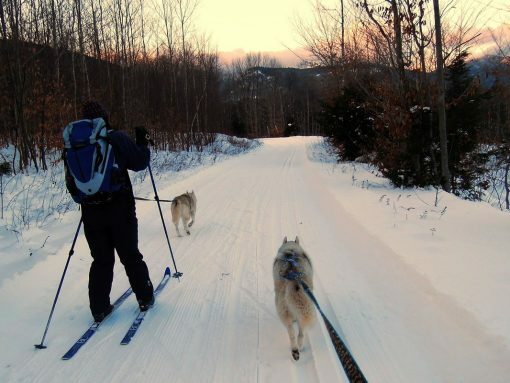 We pride ourself on our 100% natural snow and excellently groomed trails. Well behaved dogs and owners are allowed on our entire network!